If you choose to register on our website you hereby consent to receive autodialed and/or pre-recorded telemarketing calls and/or text messages on provided number from or on behalf of eXp Realty New Hampshire or it's participating lenders or affiliates; from the following telephone number: 603-967-4378, or from other numbers related to or affiliated with the company, which may use an automatic telephone dialing system, an artificial or prerecorded voice or text message. Standard message and data rates may apply. You acknowledge that you may receive emails or communications with mortgage-related information. You also certify that the provided number is your actual cell phone number and not that of anyone else. Furthermore, if your cell phone number changes, we ask for prompt notice of the new number.
" Thank you so much for all your help! It’s hard to believe this whole process began less than 6 weeks ago! It wouldn’t have been possible if not for your fast acting and quick response time. We really appreciate all the negotiation you did on our behalf and all the advice you have given us along the way. We’ll always be grateful for how instrumental you were in buying our first home! " " Tara is considerate, knowledgeable, and works very hard at making sure the interests of her clients are taken care of by all parties. She does what an agent should do and does it very well. Tara will also go the extra mile in getting information you need. If something comes up that should be brought to your attention, Tara will not fail to make sure such things are never overlooked. In short, Recommending Tara to a friend looking for real estate lets me relax, knowing that my friend will be watched over as I would want for a friend or family. " " Our experience with Tara was fantastic. Tara was the seller's agent and we were private buyers, without an agent. We reach out to Tara to show us the property we were interested and from there, the way Tara bridged the connection between the sellers and us, was out of this world. Extremely responsive, friendly and beyond knowledgeable of the space and region. We would recommend Tara in a heartbeat, whether to sell or buy property. " " Thank you SO much for all your help through our home search and buying process. We truly appreciate all the time, work and advice you’ve given us over the last couple months. We value your insight and guidance through this process, and it was fun! " " My sister and I live in East Longmeadow, MA and needed to sell our dad's home after he passed away. It was a heart breaking decision, but something we had to do. We interviewed several agents in the Plymouth area and decided to choose Richard. It seemed to be an easy choice. We stayed at the Common Man that evening and when we arrived there was a packet waiting for us from Richard with a listing plan. He was on his game from day one! His real estate knowledge coupled with his contracting experience was the perfect match for us! Richard went way above and beyond the call of duty for the sale of my dad's home! He plowed the drive way for us in the winter and kept an eye on the house. He guided us every step of the way and kept us calm when we found out the house needed repairs and a brand new septic tank! He hired the contractors we needed and over saw the work that was done. Without him we would never have been able to do it! We had such a positive experience working with Richard that I highly recommend you choose him for you real estate needs. He is honest and a pleasure to work with! " " Tara and her team were incredibly responsive and helpful through some very difficult details. She has such a positive and cheerful outlook and always represented me in the best possible light. She's resourceful, knowledgeable and professional and I don't know what I would have done without her! " " I appreciated Richard taking the time to get to know us and realize that we were not just buying a house but this was going to be a “ home” for me and my family. We love our new home and our community. Richard was very professional , caring and considerate of our needs . I would highly recommend Richard to anyone looking to move into the area and will not hesitate to use his services again as our housing needs change in the future. " " I have worked with Gowen Realty Group on multiple occasions. 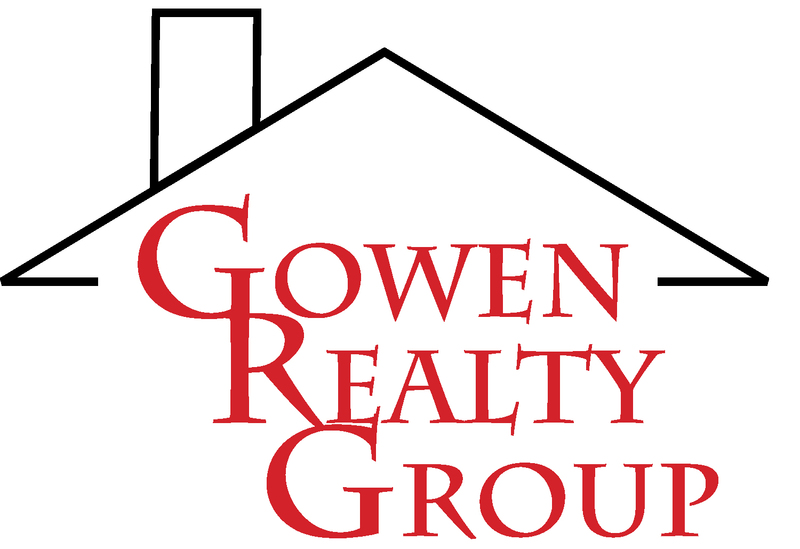 I am an investor with some demanding requirements, Gowen Realty Group always exceeds my expectations. I have been buying and selling Real Estate for nearly thirty years and I must say I have not worked with an office that is any better. " " Tara was excellent. She answered all my emails and phone calls quickly and helped me understand everything thoroughly so that I could make well informed decisions along the way. She went above and beyond and I can't recommend her enough. I will definitely use her services again the next time I need a realtor. " " Richard was very professional and knowledgeable and, most importantly, always reachable. He answered all of our questions and helped guide us through a very complex sale of our property. "